Your glitter obsession is a global hazard. As anyone who’s ever bedazzled their bodies or pranked someone with a glitter bomb knows, this sparkly stuff gets everywhere and is almost impossible to clean up. And that includes the world’s oceans, according to British scientists who warn that wildlife is choking on it. 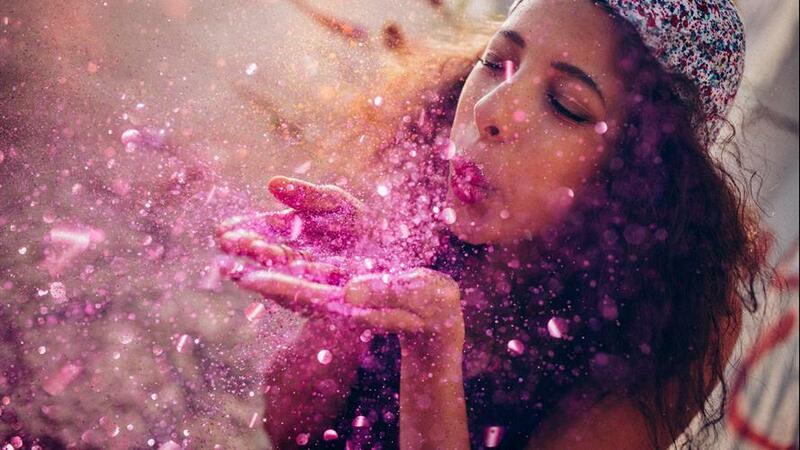 “I think all glitter should be banned, because it’s microplastic,” Dr. Trisia Farrelly, an environmental anthropologist at Massey University, told the Independent. Microplastics are plastic fragments less than 5 millimeters long, but these tiny pieces add up to a giant problem plaguing the planet. The shiny specks that Instagrammers and Kim Kardashian are coating themselves with is actually made of tiny pieces of plastic and aluminum. And when we wash glitter off, a lot of it eventually winds up in the oceans, where creatures on the food chain from plankton to whales mistake the tiny fragments for food, which often kills them. A 2015 study in the journal Science warned that the world’s oceans are drowning in an estimated 19 billion pounds of plastic, and researchers predict the waters could be swimming with more plastic than fish by 2050. And it’s winding up in our stomachs as well. One in four fish bought at California and Indonesia markets had plastic particles in their stomachs, according to a 2015 report. And a 2014 study found oysters and muscles also had microplastics in their guts. The microbeads found in many face washes, soaps and body scrubs are posing a similar problem, which is why states including California, Colorado, Illinois, Indiana, Maine, Maryland and New Jersey have passed laws restricting microbeads. The British government is poised to pass a ban on microplastics next year, and now some U.K. nurseries are even banning glitter from their kids’ arts and crafts tables. But not all that glitters is destroying the planet. Lush Cosmetics uses eco-friendly synthetic mica, mineral glitter and starch-based lusters in its shimmering products. And British company Bio-Glitter crafts compostable glitter from a shiny biodegradable film. This article originally appeared on MarketWatch's website and can be viewed here.